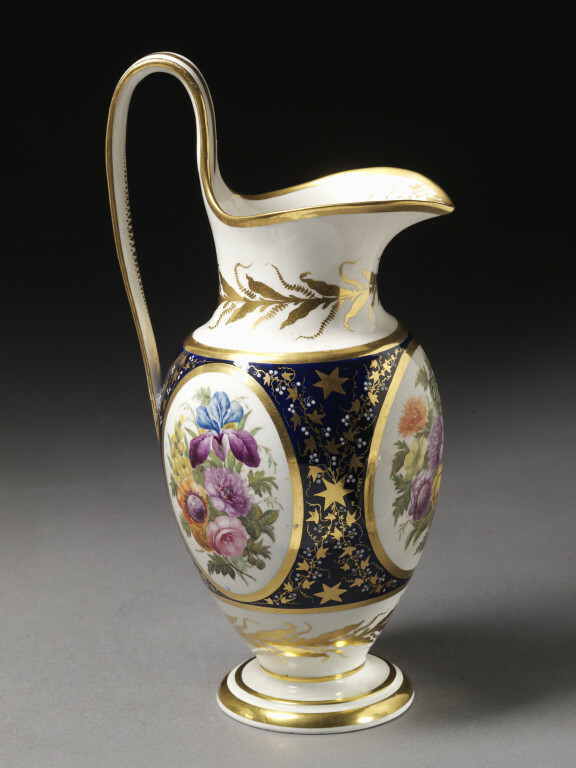 Ewer of soft-paste porcelain painted with enamels and gilded. Ovoid body decorated with bouquets of flowers in three oval panels, reserved on a dark blue ground, over which are stars and ivy-stems in gold with white berries in slight relief. Curved lip and high loop handle. 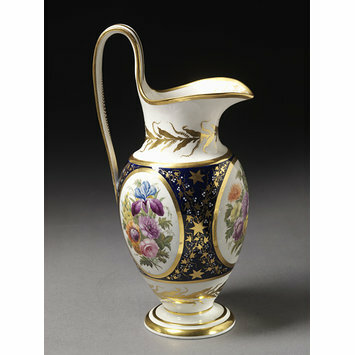 Round the neck and the lower part are wreaths of formal foliage in gold. Ewer of soft-paste porcelain painted with enamels and gilded, painted by William Billingsley, Derby Porcelain Factory, Derby, ca. 1790.